Understanding the diversity of the Côte d’Or terroirs at a glance is what any wine lover longs for. This dream will come true thanks to these two wall maps of the Côte de Beaune and the Côte de Nuits. You get an overall view of the vineyard as your eyes follow the paths taken by the vignerons as they go to work on the vines. 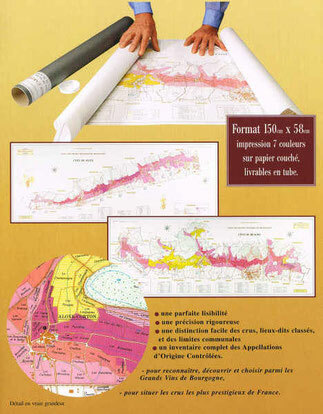 The colour code used to identify the wines, the appellations, and the precise outlines of the lieux-dits help read these wall maps very easily. 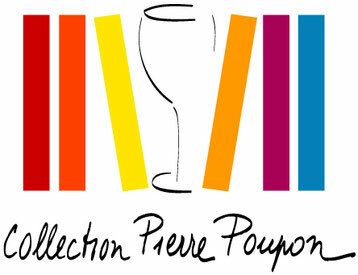 For the Côte de Nuits : Brochon, Chambolle-Musigny, Chenôve, Comblanchien, Corgoloin, Couchey, Fixin, Flagey-Echézeaux, Gevrey-Chambertin, Marsannay-la-Côte, Morey-Saint-Denis, Nuits-Saint-Georges, Premeaux-Prissey, Vosne-Romanée, Vougeot. For the Côte de Beaune : Aloxe-Corton, Auxey-Duresses, Beaune, Chassagne-Montrachet, Cheilly-lès-Maranges, Chorey-lès-Beaune, Dezize-lès-Maranges, Ladoix-Serrigny, Meursault, Monthélie, Pernand-Vergelesses, Pommard, Puligny-Montrachet, Saint-Aubin, Saint-Romain, Sampigny-lès-Maranges, Santenay et Remigny, Savigny-lès-Beaune, Volnay. Every single lieu-dit or Climat, a specific Burgundian designation, is perfectly easy to spot. These maps will give you full access to the richness of the Burgundy vineyard where the 1,500 Climats and lieux-dits registered both in the Côte de Beaune and Côte de Nuits are precisely listed. Jacques Michot works with SEPIA Art & Cartographie Company.